Vic Vaughan & Souled Out. Tom working his drumming magic! 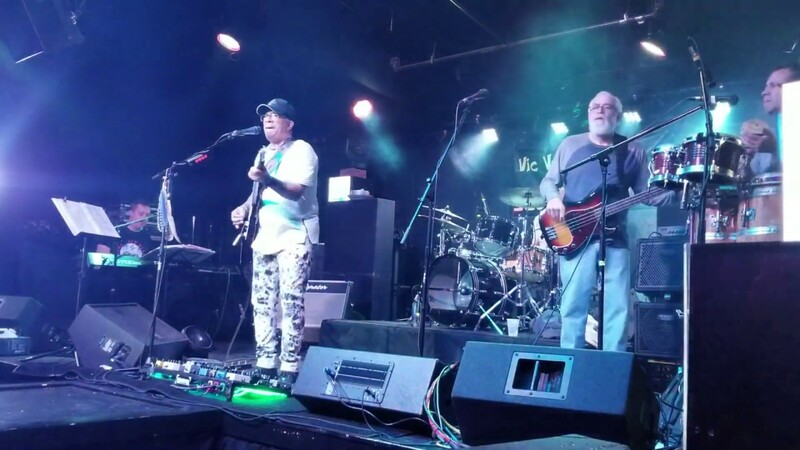 Vic Vaughan & Souled Out are heralded as the "best-unsigned band in the Springfield area". Specializing in Soul, R&B, Motown, Funk, Rock, and Dance music from the '60s through the present, they turn every event into a memorable and fun occasion! Souled Out delivers impeccable musicianship and professionalism. They're the real deal and guarantee an entertaining, high-energy show every time, appealing to a wide range of audience. Every performance is unique and is tailored to meet your needs. Souled Out is at your service from beginning to end. Let's create some memories and book Vic Vaughan & Souled Out. We hired Vic Vaughan and Souled Out for a New Year's Eve fundraiser. They were great to work with. They were extremely professional, provided excellent entertainment and had everyone dancing all night. Our guests kept commenting on how great the band was. Vic has mad guitar skills, too. We will definitely hire them for future events. If you want a fun band appropriate for all ages that gets everyone moving, book them. Thank you so much, Krista! It was indeed a pleasure and an honor to be a part of the History Museum's New Year Eve celebration! It was a great party. We're definitely looking forward to performing for you again soon! I want to thank Vic and his wonderful band, Souled Out, for a magnificent performance on May 27, 2017 at the 319 Downtown Event Center for my 50th Wedding Anniversary Party. Vic and his band gave a stellar performance as we danced the night away!! Great music and great vocals. You guys could play anything, I'm sure. 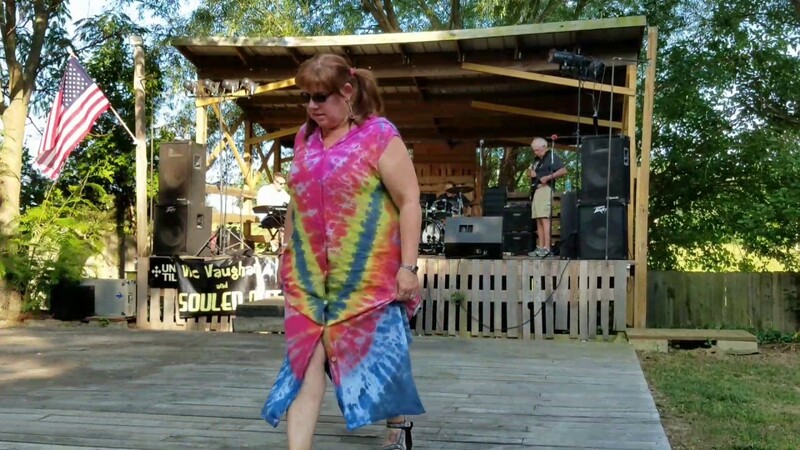 If you are looking for a GREAT BAND for your next event, you can't go wrong with Vic Vaughan and Souled Out!! Thank you so much, Dianne. It was a pleasure for us as well. You have a great group of family and friends. Everyone was so kind! I'm honored to have been able to celebrate your special day with you. When I booked this band, they operated with a high level of professionalism. They were on time, no hassles, and rocked the room. My guests had a great time and it was easy for me. I highly recommend this band. Thank you for having us, Barry! We enjoyed being a part of the celebration and look forward to rocking the house with you and the crew next year! My absolute favourite local band! Music that really makes you want to dance and the female voice is pure Aretha! Last night's audience was small but they played like they were in a huge arena entertaining the masses. Vic Vaughan & Souled Out are first and foremost fun, interactive and professional. Their collective experience allows them to draw on any genre of music imaginable. 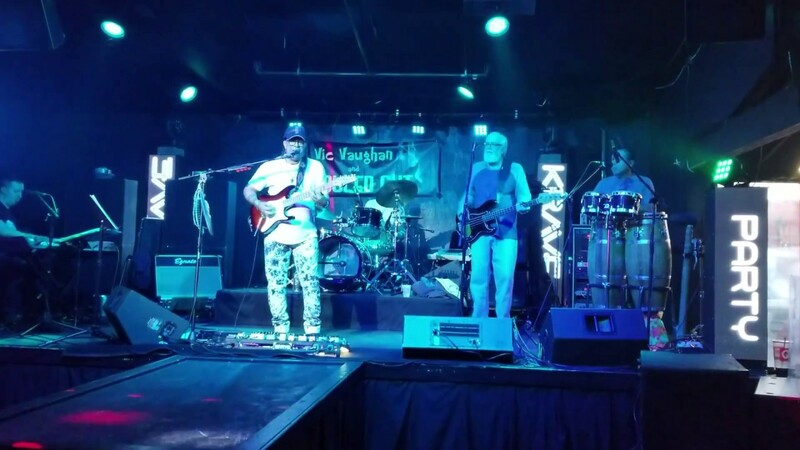 You'll hear Soul music spiced with soulful vocals; Rhythm and Blues with a smattering of hip-hop; 60's music with a reggae flavor and the occasional song that makes you want to hold that special someone real close aka "belly rubbin' music" - they play it all! Vic Vaughan & Souled Out provide full sound and lighting when needed and deliver a power-packed, exciting performance every time. Get Ready! Vic Vaughan & Souled Out are coming to your event and their bringing an entertaining, high-energy experience. Vic Vaughan & Souled Out have been performing in the Springfield, Mo. at some of the most popular night spots in the area as well as festivals, concerts, grand openings. The band is comprised of some of the best seasoned talent in the area. With Souled Out every event is a party! Vic hails from New York City and brings a wealth of experience and talent. He has performed with such greats as Blondie, The Allman Bros., Luther Vandross, Chuck Berry, The Coasters, Hank Williams Jr., Patty LaBelle, as well as serving as music director and vocalist for Rock & Rock Hall of Famers, The Flamingos, just to name a few. This band has SOUL and it shows with every performance. They make each song their own and do it with impeccable musicianship and professionalism. Each show comes complete with staging, lighting, costume changes and is interactive and exciting while appealing to a wide audience. You'll hear songs that are favorites, spanning decades of hits. Souled Out's repertoire includes hits from Motown, Hall & Oates, The Beatles, Stevie Wonder and many more great artists. From the 70's through the 90's and the present, we deliver timeless songs that you enjoy hearing. We are a reliable, professional, exciting band with a high regard for the client and their event. We're open to special requests and want to make sure we deliver the best entertainment for your special occasion. Be it an intimate set to a full-blown concert or dance party, our goal is to make every engagement a unique experience - one that you will definitely enjoy and remember. What are you waiting for? Go book Vic Vaughan & Souled Out. 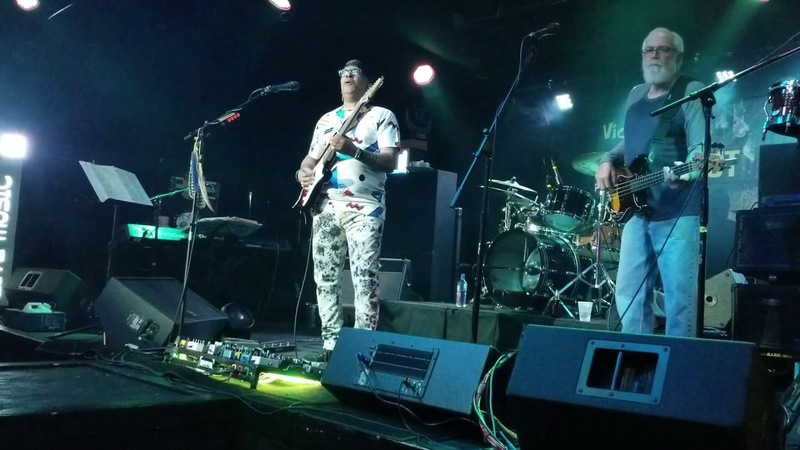 May 04, 2019–May 05, 2019 • 8:00pm - 12:05am Concert at Carrie's Place Springfield, MO. May 31, 2019 • 6:00pm - 8:30pm Krave Live Music Emporium - Springfield, MO. 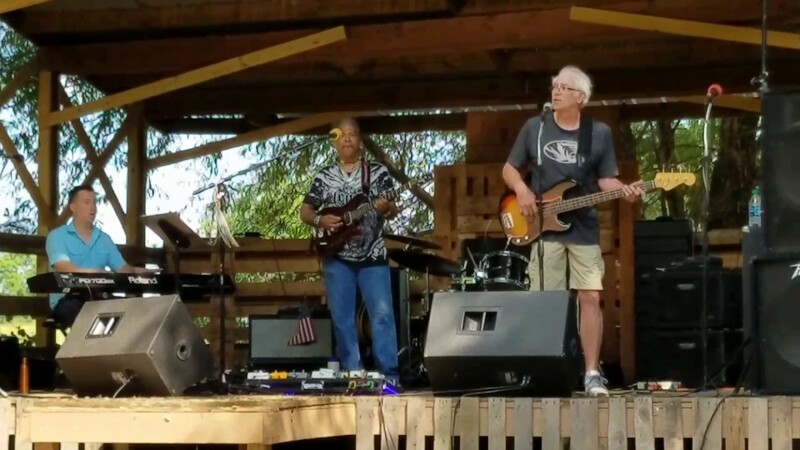 June 22, 2019–June 23, 2019 • 8:00pm - 12:05am Concert at Carrie's Place Springfield, MO. June 29, 2019 • 6:00pm - 10:00pm Wild Oaks Campgrounds - Lebanon, MO. July 06, 2019 • 6:00pm - 10:00pm Los Cabos Mexican Restaurant - Springfield, MO. August 10, 2019–August 11, 2019 • 8:00pm - 12:05am Concert at Carrie's Place Springfield, MO. August 17, 2019 • 6:00pm - 9:00pm Los Cabos Mexican Restaurant - Springfield, MO. April 13, 2019–April 14, 2019 • 8:00pm - 12:00am Concert at Carrie's Place Springfield, MO. The music the has influenced Vic Vaughan & Souled Out has as wide a range as the band itself. Sly and The Family Stone, The Doobie Brothers, Prince, Earth,Wind & Fire, James Brown, Bruno Mars, Marvin Gaye, Journey, Eric Clapton, The Ohio Players, Stevie Wonder, Steely Dan and numerous contemporary artist.